The Kuwaiti cabinet on Monday submitted its resignation to the emir of the oil-rich Persian Gulf state following snap parliamentary polls, an official statement said. According to a report covered by Mashregh News in Iran, after accepting the cabinet’s resignation, Kuwait’s Emir Sheikh Sabah al-Ahmad Al-Sabah will either reappoint the outgoing premier, Sheikh Jaber Mubarak Al-Sabah, or name another senior member of the ruling family to form a cabinet. The new cabinet must be formed before parliament holds its first session within the next two weeks. The election on Saturday saw the Islamist-dominated opposition win nearly half of the 50-seat parliament after it ended a four-year boycott and took part in the polls. Analysts predict the return of political disputes in parliament unless the ruling family-led government succeeds in cooperating with the opposition. Around half of the opposition candidates who won seats are Islamists from a Muslim Brotherhood-linked group and Salafists. The emir dissolved the previous parliament due to a dispute over hiking petrol prices. But a majority of the elected MPs have openly said they would oppose any austerity measures by the government to boost non-oil income. Voters dealt a heavy blow to candidates from the outgoing parliament, with more than half of them failing to win seats in the new assembly. Only one woman was elected and Kuwait’s Shiite Muslim minority was reduced to six seats from nine in the previous house, AFP reported. 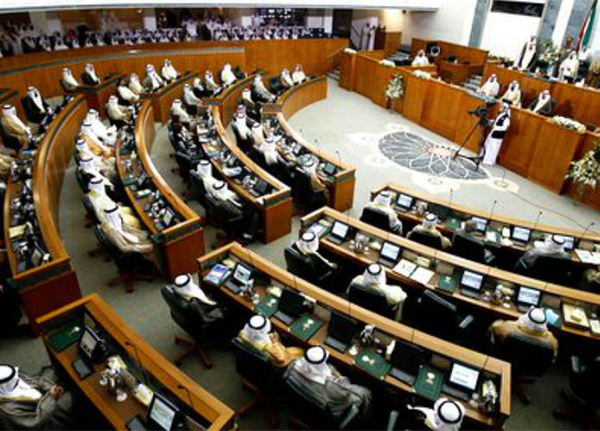 Unlike other Arab states in the Persian Gulf, Kuwait has an elected parliament with powers to hold ministers to account, even though senior members of the ruling family hold all the top cabinet posts. The election came as Kuwait faces its most acute budget crisis in years. Oil income, which accounts for 95 percent of government revenues, has nosedived by 60 percent in the past two years. The OPEC member which pumps 3.0 million barrels per day of oil posted its first budget deficit of $15 billion last year following 16 years of surpluses.